Politicians at Westminster have been warned not to comment in public on upcoming trials over newspaper phone hacking. 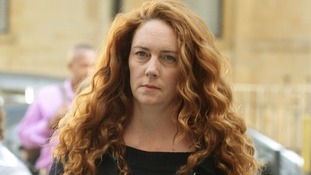 The coming week will see former Downing Street director of communications Andy Coulson and ex-News International chief executive Rebekah Brooks stand trial at the Old Bailey. The case has been at the centre of political debate for more than two years, but Solicitor General Oliver Heald has acted to counter the risk of commentary prejudicing the proceedings, which are expected to last for several months. Parliamentary privilege means a politician can theoretically talk about a live case in the House of Commons without fear of prosecution.